The characteristic feature of cancer cells that makes cancer disease dreadful is their ability to proliferate and rapidly spread in the body! Most of the cancer types have the ability to regrow even after complete removal or excision!! Various studies have been conducted and researchers had been working on to find out if there is a solution to stop the growth of cancer cells or a factor that hinders the regrowth of a tumour!! Clinical trials or the studies conducted in 2011 reaped the results. 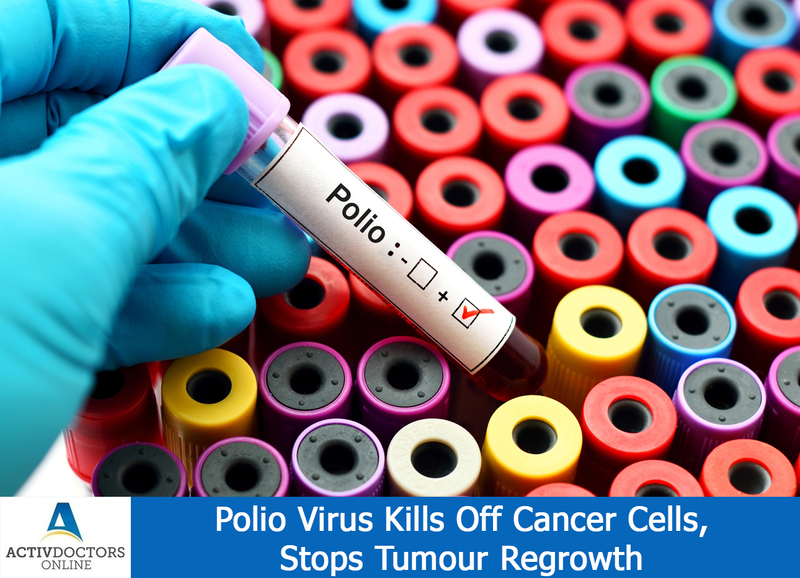 The studies found that Poliovirus has the ability to kill off cancer cells and even stop regrowth. The study was conducted on a group of patients suffering from a brain tumour – Recurrent Glioblastoma!!! Poliovirus kills off the cancer cells by the following mechanism – Poliovirus attaches itself to the cancer cells, as they are rich in CD155 Protein. Once attached, poliovirus starts attacking the malignant cells, thus triggering the release of antigens. Antigens are toxic substances, which are not recognised by the body and thus initiates an immune attack system!! Once started, the process is continuous. The cancer cells continue to be attacked by the poliovirus, thus killing them eventually and even stopping the tumour regrowth!! This didn’t mark the end of cancer therapy, this needs to be combined with the conventional treatment!! Studies are still in progress to establish the conclusion! !